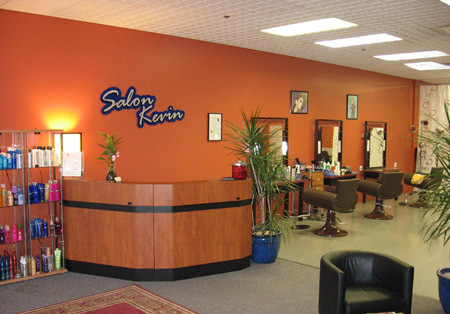 Salon Kevin is a full-service salon located in the Arbutus Shopping Center at 4733-B Westland Boulevard in Arbutus, Maryland. Our talented staff offers hair styling and cutting, custom color, highlights, perms, body waxing, facials and eye lash extensions. Salon Kevin is now open 6 days a week, Monday-Friday 9am-7pm and Saturday 9am-6pm. Call us today to set up an appointment with Kevin or any of his staff at 410-737-8080 or 410-737-8122 We honor all appointments and walk-ins are welcome. Thank you for choosing Salon Kevin!